Very easy to make and excellent side dish for many entrees. 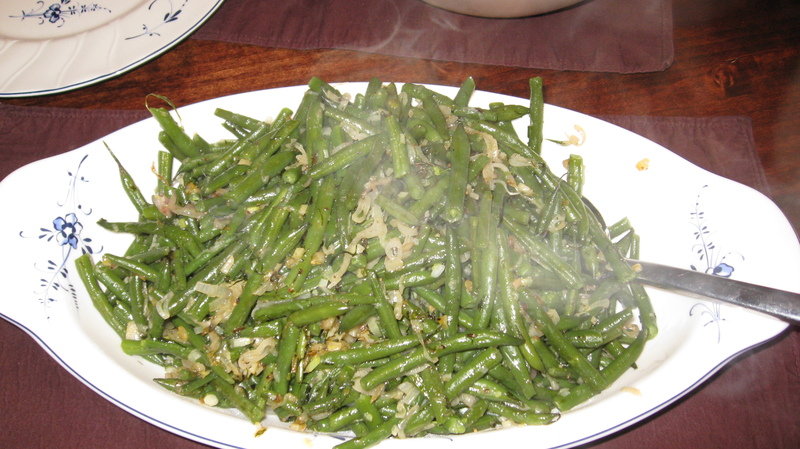 Boil green beans in slightly salted water until tender, and drain. Melt 2 tbsp of butter in a pan and add garlic until golden. Then add shallots, sea salt and pepper, and roast until nice and glossy. Add dill and green beans, toss a few times to ensure that they are well mixed with the spices and serve! This looks incredible, I can’t wait to try it! It’s so good and so easy. Let me know what you think.